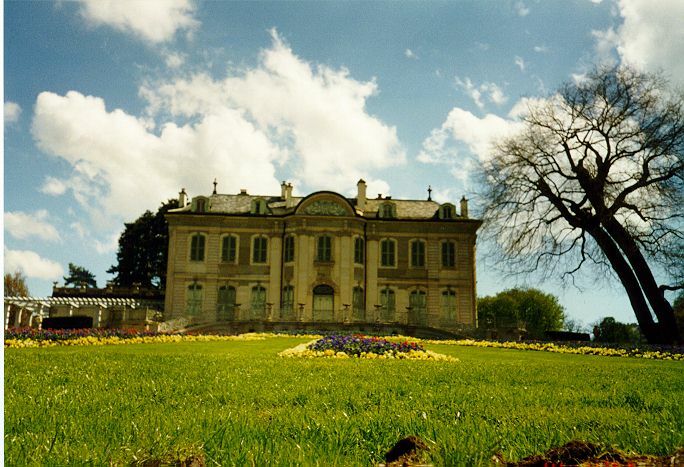 While Geneva is mainly known for united nations, it is a good place to start your journey to Switzerland destinations. Here is why: It is just over 3 hours by train from Paris, if you are flying in, it has an international airport and it has a good mix of what Switzerland has to offer - Has a beautiful lake, can see snow clad mountains, shopping and has a very calm way about it. Although its not the cheapest of places to stay. 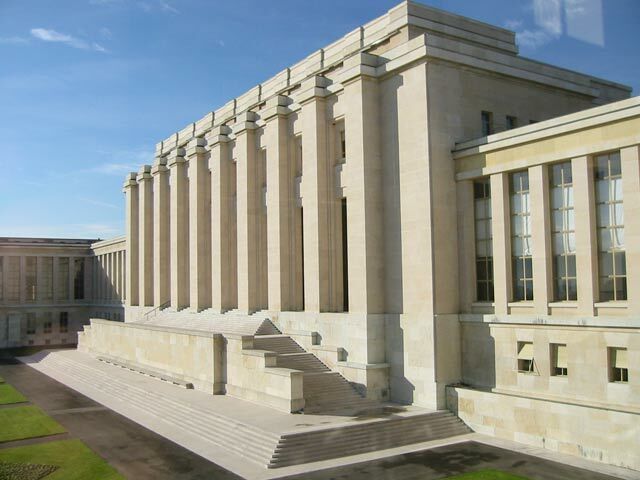 Today, Geneva is home to around 200 international organisations, both governmental and non-governmental. 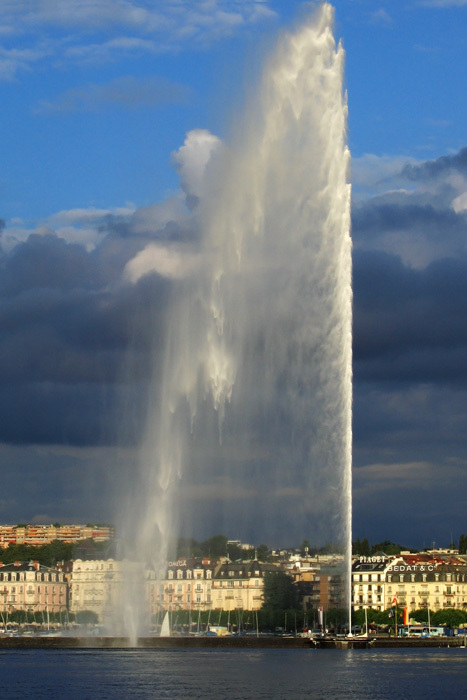 The main attraction in Geneva, Jet d'eau (water fountain) is located at few minutes walk outside the central train station. 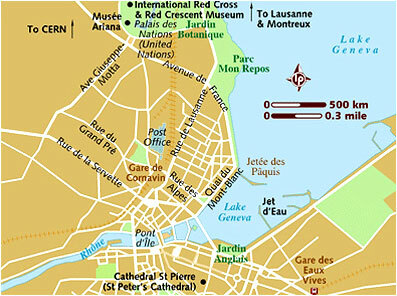 Geneva’s airport is very close to the city centre – only 5 km (3 miles). A direct rail connection takes you from the airport to the downtown railway station in 6 minutes. In my opinion this is the best and the cheapest way to go to the city centre. The Swiss Rail system is one of the best (if not the best) that I have seen in Europe. It has hourly links to Lausanne, Bern, Basel, Zurich, Vaud and Valais. The trains do run on time, are very convenient. Added bonus is the fabulous scenery that you can enjoy while travelling. City and airport of Geneva are joined by rail with more than 200 trains a day. 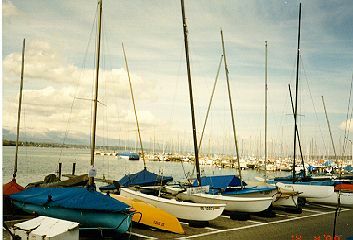 Many international routes pass through Geneva to provide convenient connections across Europe.